The Avengers are back! Of course, they were never really gone, as Captain America: The Winter Soldier and Guardians of the Galaxy fought villains last year. But Avengers: Age of Ultron does imagine a world without those precursors, as it begins with Loki’s staff – a remnant of Avengers Assemble in 2012. Rather than an alien life form, master villain Ultron is the product of Iron Man’s curiosity as smug Tony Stark (Robert Downey Jr) is responsible for his creation. 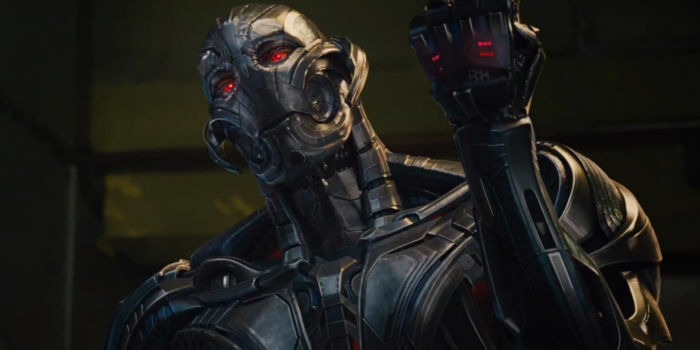 Ultron’s intimate knowledge of the elite team means they’re in the firing line of his destruction. But, after seven years of back-to-back filmmaking, the series does feel like it’s beginning to creak. Avengers: Age of Ultron has impressive Hulk versus Hulkbuster fights and expansive set-pieces, decimating an illogical land mass. It ticks a pleasure box we all want from our glossy band of merry men and women. But, it doesn’t resonate any more – nothing connects emotionally. It’s now the inevitable sequel as explosions are bigger, stakes are ‘higher’ and references are relentless and nothing feels fresh. Oh! Here’s that fella from Iron Man 3, and here is Captain America’s buddy. Let’s not kid ourselves, this is the eleventh sequel. Where’s Groot? Maybe a plot from a previous film is revealed as something else? New additions in Quicksilver (Taylor-Johnson) and Scarlett Witch (Olson) are exciting, but it doesn’t detract from the serial nature of each release. This is a decent, fun ‘episode’, but it fails to electrify as the series once did.